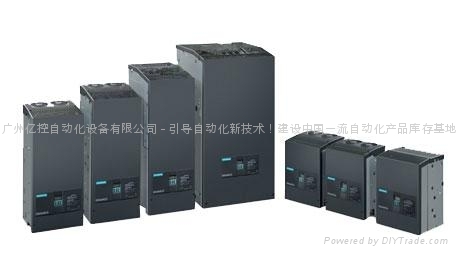 The SINAMICS DC MASTER is the new generation of DC converters from Siemens. The name SINAMICS DC MASTER - briefly: SINAMICS DCM - embodies the strengths of this new generation. It combines the advantages of its predecessor - the SIMOREG DC-MASTER - with the advantages of the SINAMICS family. 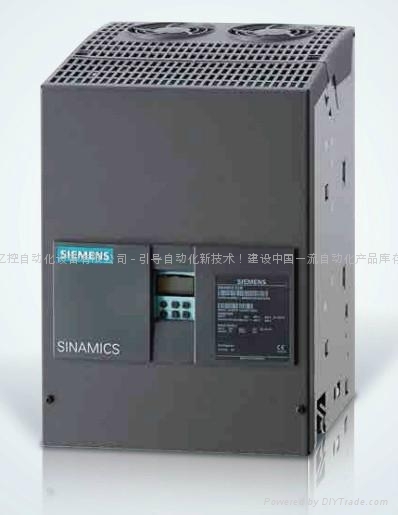 When it comes to quality, reliability and functionality, SINAMICS DC MASTER is second to none. In fact, precisely in the area of functions, it offers new features, and useful functions from its predecessor have been integrated as standard. The SINAMICS DC MASTER is the new member of the SINAMICS family, which now makes many of the SINAMICS tools and components known from AC technology available for DC technology. The series of SINAMICS DC MASTER converters sets itself apart as a scalable drive system - both for basic as well as for demanding and sophisticated applications. For the standard closed-loop control, the DC converter is equipped with a standard Control Unit for converters (standard CUD). For applications demanding a higher computational performance and interfaces, then the system can be expanded by an additional Control Unit for converters (Advanced CUD). The DC converters belonging to the SINAMICS DC MASTER series combines the open-loop and closed-loop control and power units in one device and therefore especially set themselves apart as a result of their compact, space-saving design. The AOP30 Advanced Operator Panel and the BOP20 numerical operator panel are available for commissioning and local operator control. The interfaces of the CUD and the number of digital inputs and outputs can be supplemented using additional modules - such as the TM15 and TM31 Terminal Modules.